Gombe National Park is located most west of Tanzania and east side of lake Tanganyika, one of the research regions of chimpanzees. Especially, it's famous that Jane Goodall found chimpanzees make tools for termiting and hunt a small animal. Now there are 3 groups in Gombe, Kasekera group (more 60 chimpanzees), northern group (26 chimpanzees) and southern group (13 chimpanzees). I observed Kasekera group among 2 days. 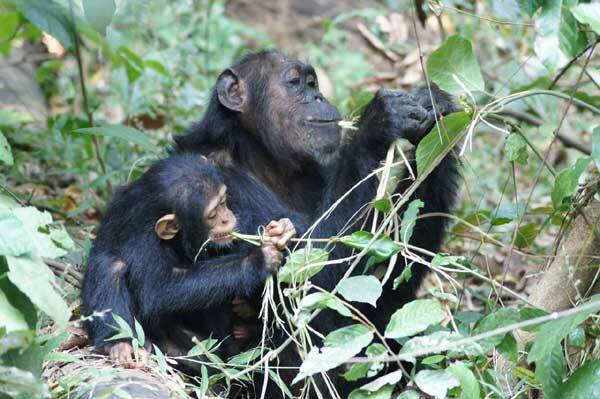 I could observe not only primary behavior, for example, foraging, resting, locomotion (climbing, blachiation, knuckle walking, etc), and social behavior (grooming, playing with other, display, greeting, etc), but also the other interesting behavior like termiting, fission fusion, eating leaf rib of palm, etc, on chimpanzees living in Gombe . Especially, I was interested that GREMLIN brought GLITTER's baby and GLITTER brought GREMLIN's baby (GREMLIN is GLITTER's mother). 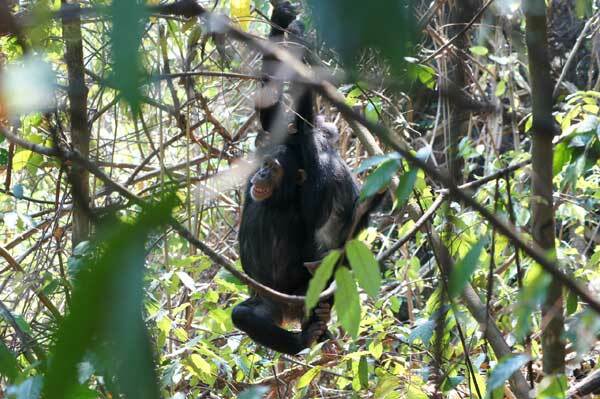 In 2 days, I observed 20 chimpanzees. I took pictures on what I observed, but I found that to note down and make some video clip were also important to my study. In Serengeti National Park, I observed mammals and big birds, more than 40 species totally among 2 days. 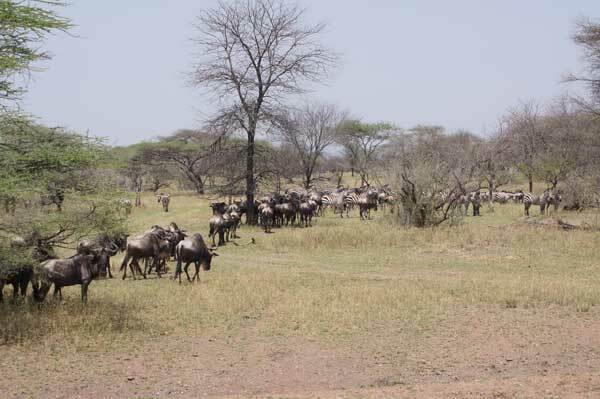 I saw solitary animals (Leopard, young male Lion), animals making small group (Lion, Hyena, Topi, etc), big group (Elephant, Giraffe, Zebra, etc), and huge group (Buffalo, Gnu), and animals making harem or male group (Impala, Gazelle). So I understand the difference of group size and formation in each species. And I had the opportunity to see mutualism, for example, Gnu and Zebra, Gnu and Gazelle, Giraffe and Zebra, Crocodile and Hippopotamus, etc.